As a restaurant, you are constantly competing with every other restaurant on the block, not to mention in the entire city. How do you make yourself stand out and ensure that your restaurant is the first one that comes to mind when people think of a spectacular night out, wonderful food, and exceptional service? You need an edge, something the other restaurants haven't even thought about yet. Do you know what your customers really, truly want? Let me tell you a little secret: they want to feel wowed, and they want to feel special. That's it. Of course, they want good food and the server's to be friendly and efficient, that's a given, but if you want to create loyal and returning customers, you've got to a little more than that. What better way to create an impression on your guests than by ending their experience at your restaurant with a delightful surprise: adding Sparklers to their dessert. Your servers can artfully decorate the desserts in the back-of-the-house, and light them as they come into the dining room, creating an impressive and beautiful presentation for each guest. It doesn't matter that you will be doing this for every customer that comes into your establishment and orders dessert; every customer will feel like they're the only one. This is your golden ticket to making loyal customers out of every person you have the pleasure of serving dessert to, and to ensuring that the money keep rolling in, week after week, month after month. Not only is this good for you, the business owner, but it will be a huge incentive for your servers to not only do their best, but stay with you long-term as well. It's no secret the service industry has a huge turnover, but no server in their right mind wants to leave a place that's slam-packed and where every customer can't wait to order desserts. Everyone wants to increase their bottom line, no doubt about it. By up-selling desserts to patrons excited to experience the special touch you will put on each and every one, you will substantially bulking up their tabs. Not only will dessert increase your profit, but so will the associated after-dinner drinks, cordials, and coffees that can be up-sold along with them. This is going to increase your profits nicely. Don't underestimate what dessert can do for your restaurant. Don't think you have to go all-out to impress your customers; it really is the little things that count. Incorporating Sparklers into your dessert service will be an inexpensive addition with big payback. Your customers will leave feeling that their expectations have been far exceeded, and you will have just made a loyal customer who will in turn bring his friends and family, hopefully for years to come. As you can see, there are many reasons why you may want to invest in dessert service sparklers for your restaurant, nightclub, or bar. In addition to our dessert service sparklers, we also carry birthday cake sparklers that will leave a lasting impression on your guests. 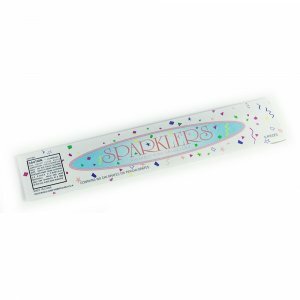 At WholesaleSparklers.com, we take pride in offering our online customers with the best party supplies, sparklers, and party favors on the market. If you’re looking for ways to spruce up your big wedding day, our Wedding Sparklers may do just the trick. To create a memorable wedding send-off, we highly recommend our 36-Inch Wedding Sparklers. With an impressive burn time, these sparklers can last anywhere between 30 to 45 seconds, making them ideal for photo opportunities. We also offer heart shaped wedding sparklers and colored wedding sparklers if you’re looking for a more romantic option as well. 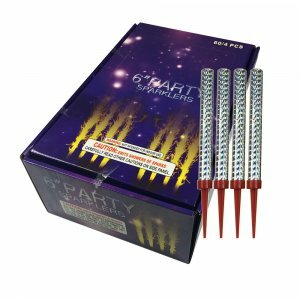 While our sparklers work great for weddings, you can also use them at your next birthday party, anniversary party, or graduation celebration. No matter what your party supply needs are, we can help you find the best sparklers and party favors for your budget. If you have any questions about our birthday cake sparklers, contact our team of experts today.